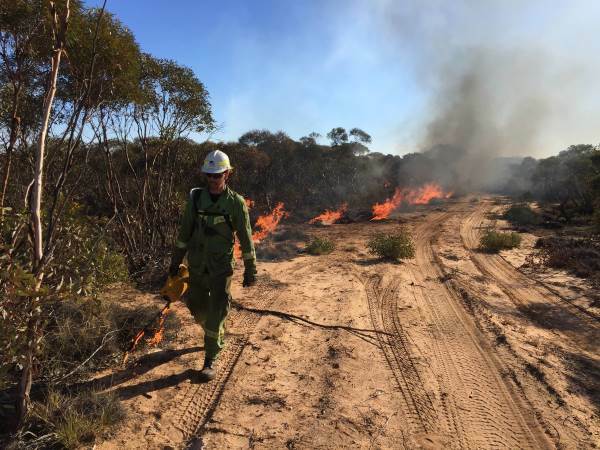 If conditions are suitable, crews will ignite the remainder of a 1273 hectare fuel reduction burn in the Big Desert Wilderness Area, approximately 20 kilometres south-southwest of Murrayville, tomorrow. People in Murrayville, Yanac and surrounding areas may see or smell smoke from the burn. The burn aims to create a strategic break to reduce the spread and intensity of any future bushfires in the area, making it more likely that firefighters can contain them before they impact people, property and the environment. View more about planned burns at www.ffm.vic.gov.au/bushfire-fuel-and-risk-management/planned-burns.